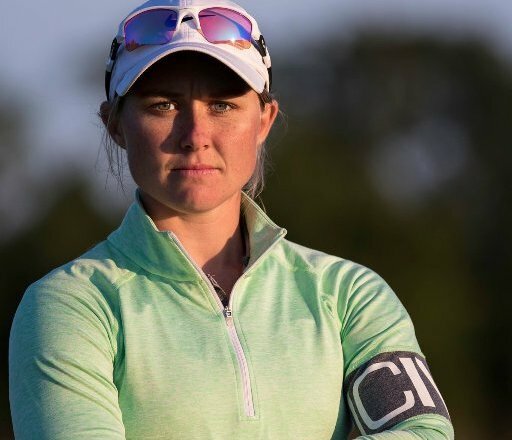 Former University of Denver golfer Mariell Bruun rallied in the last two rounds of the final stage of Q-school and regained conditional status on the Ladies European Tour for 2019. Bruun (left) finished tied for 27th — out of an original field of 115 — on Thursday at the five-round Q-school tournament in Marrakesh, Morocco. By making the 72-hole cut but placing 26th or lower, she’ll earn category 9b status on the LET next year. Had she ended in the top 25, she’d have received more preferable category 8 membership. Bruun, a native of Norway who wrapped up her DU career in May 2017, played in two events on the LET in 2018, but missed the cut in both. She finished 37th at the 2017 Q-school finals. At the Q-school in 2018, Bruun went 71-72-76-70-69 for a 2-under-par 358 total. That left her 24 strokes behind qualifying medalist Bronte Law of England, a former UCLA golfer. Bruun, who made a hole-in-one on Wednesday, double bogeyed her first hole of Thursday’s round, but went 5 under in her final 14 holes. From her fifth through ninth holes, she went 4 under, culminating with an eagle. Two other former DU golfers have been regulars on the LET in recent years — Eleanor Givens and Tonje Daffinrud. Daffinrud finished 49th on the 2018 LET money list, while Givens was 72nd. For all the scores from the final stage of LET Q-school, CLICK HERE.